The current Ickenham Ladies club formed back in 2002. There had been a club at Ickenham playing in a local women’s league during the 1980s, and they even won the national Knock-Out Cup, but it had disbanded. Then, in 2002, the daughter of then President of Ickenham CC (who had played friendlies at ICC as a colt) decided it was time for a new ladies team to form. Coached by Pete Cook, Ickenham Ladies are part of the wider Ickenham CC, which supports four Men’s Saturday and two Men’s Sunday XIs, as well as age group colts cricket from U10 upwards for boys, U13 and U15 girls teams and a busy Foundation section for boys and girls under 10. They play at the club’s home ground at Oak Avenue, Ickenham and are enjoying the club’s new refurbished Clubhouse, which opened at the beginning of the 2014 season. Since the refurb, which included reconfiguring the changing rooms, men’s and women’s cricket can now be played simultaneously at the club, which happens most Sundays in the summer. 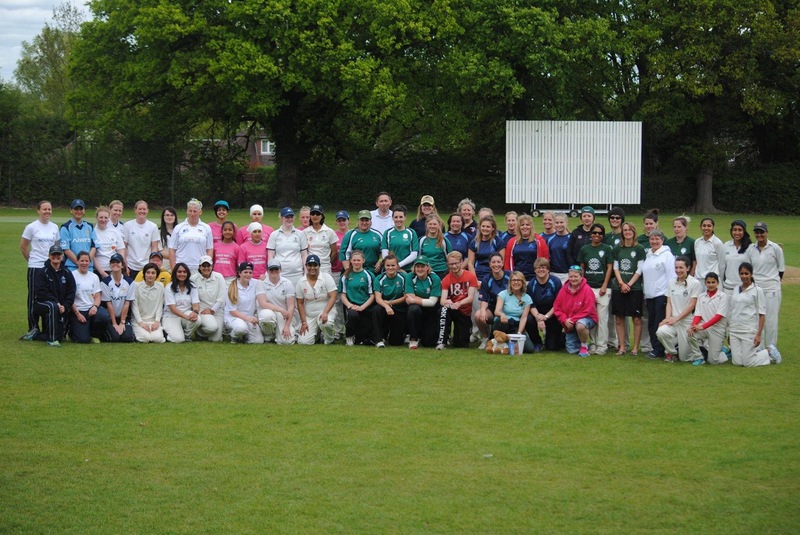 The club initially played in friendlies, but since 2009 have been involved with the North London Women’s Cricket League. Current captain Julie Fielder, described by teammate Paula Redpath as “one of our most prolific batsmen, and our bravest (and most injury-prone) fielder”, has recently led the team to success in the North London League, and they finished as champions in both the 2014 and 2015 seasons. A number of Ickenham players have also represented Middlesex over the years. 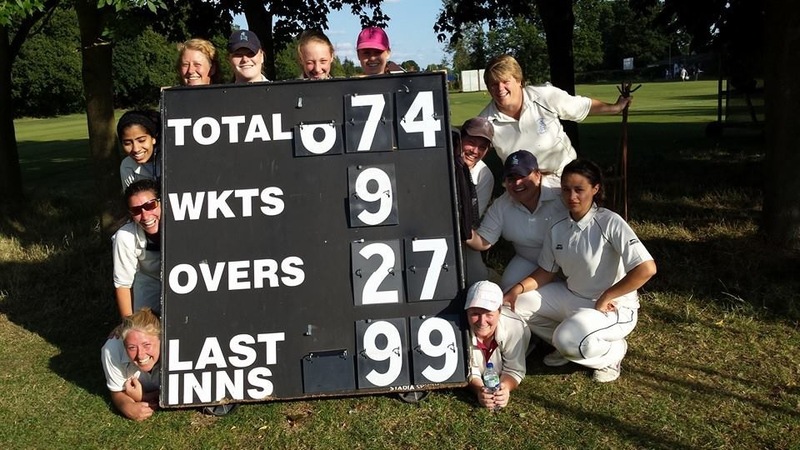 This season Ickenham have also participated in the Women’s Cricket Southern League, and in the newly-created Middlesex Development League, a 20-over competition designed to help teams get their cricket off the ground. Their membership of these three different leagues helps fulfil their stated aim of providing cricket to all women and girls who want to play, which is at the heart of everything the club does. The club also host their own 6-a-side tournament at the beginning of every season, on a Bank Holiday Monday, a well-attended event which consists of two leagues playing round robin matches, and finished with a final. Breakfast, a BBQ lunch and a bar are all provided. This year Hursley Park won the tournament, and donations were also made to two charities: CURA and Cricket Without Boundaries. Ickenham have gone on club tours every year since 2007 and have visited Amsterdam, Madrid, the Czech Republic, Hungary, Wales, Devon and Skegness. The tours are purely team bonding exercises, with no cricket involved, and when asked about the highlights, club member Paula (mysteriously!) told CRICKETher that it was probably best not to mention “the iron fairground horse, baby Dave, cooo-eeeeee, Martin, or Tour Tourette’s”!! The club have been supported excellently over the years by their umpire Michele O’Grady, their dedicated scorer Jo Potter, Fixtures Secretary Pax, all-round behind-the-scenes organiser Geoff and the women behind the club’s admin, Tracey, Julie and Peeeee. 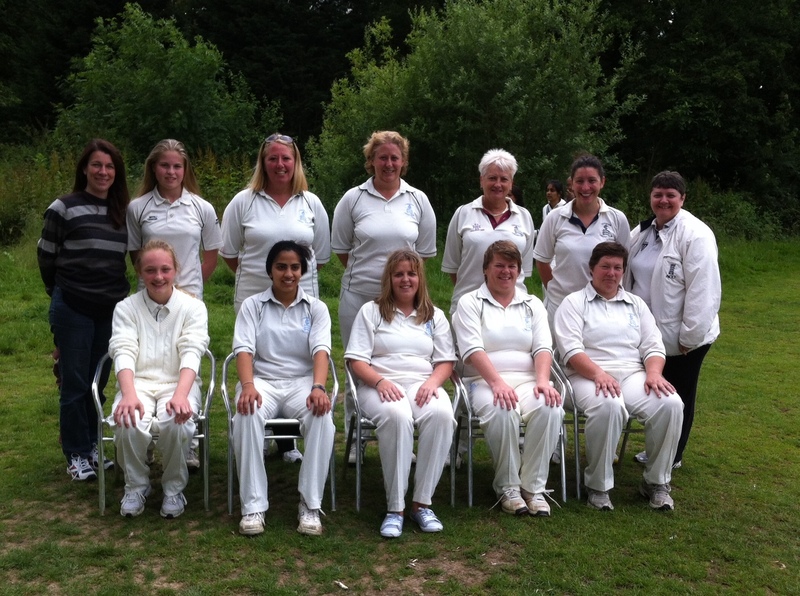 More info about Ickenham can be found on the club’s website, www.ickenhamcc.com and in particular their women’s page. Congratulations on everything you have achieved, Ickenham, and keep it up!